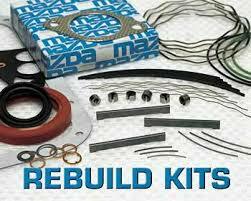 REC offer all rotary engine rebuild parts all the way to full rebuild kits. We offer Next day shipping anywhere in North America. All parts in stock! A service we have been doing in house for 15 years, now available to the public! rotaryengine.com is a division of its sister company RX-7 Specialties, which does all rotary car servicing, performance and engine building. 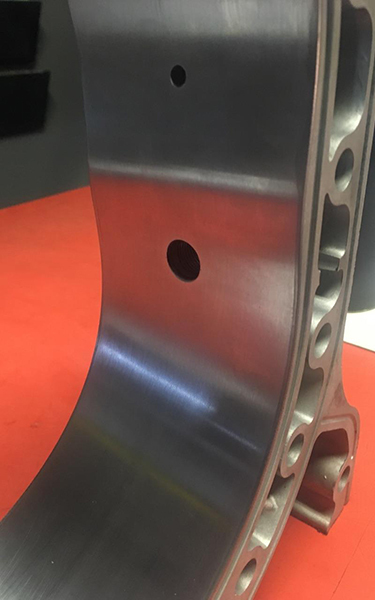 REC (rotaryengine.com) is the title which RX7 Specialties used for the part of the business which specializes in engine building, engine parts and engine services. 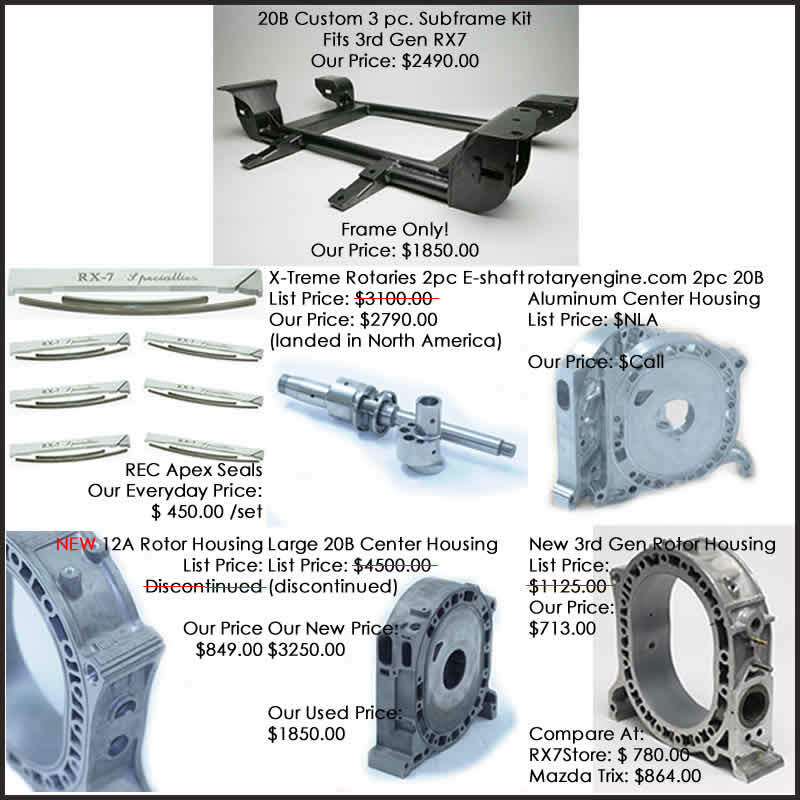 Celebrating our 20th year in business, REC is now offering our parts and services at wholesale direct prices to all of our customers. Here is a quick overview of some REC product. 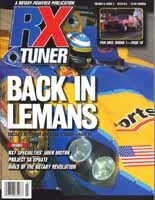 Rotaryengine.com (REC) is a proud authorized distributor of X-Treme Rotaries from Australia, also known as GURU Motorsports. 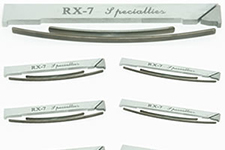 REC has taken the initiative to import and inventory a large variety of commonly sold and high demand products. Since our beginning REC has proudly been the authorized Canadian distributor for Racing Beat and their products. 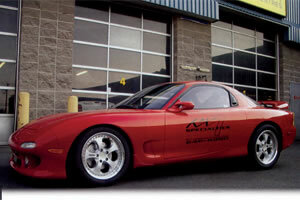 We inventory a large variety of their products for RX7's, RX8's as well as Miata's. 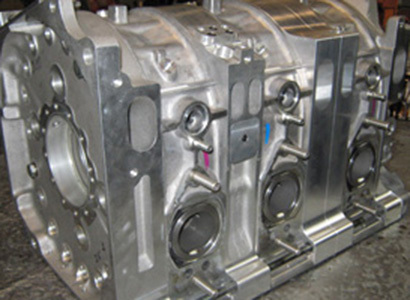 Rotaryengine.com (REC) is a proud authorized distributor of TurboSource products. A source of high quality ECU, turbochager and heat management products. 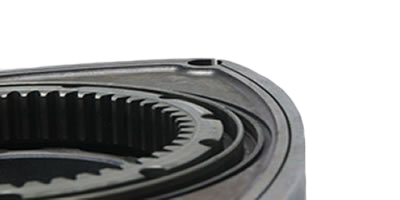 rotaryengine.com (REC) has dedicated their R&D services to a variety of aftermarket and stationary applications using the Mazda rotary engine. The projects range from services which we were hired to perform to investment of our own time and money. Each application was unique and in some cases... never performed before.